Have you ever been to a city that makes you feel happy? You know when you walk around and admire the city and all it has to offer and suddenly you’re at peace? I like to call that a soul mate city. London is definitely a soul mate city for me. If you’ve been to London before, you probably know what I mean. The history, the amazing architecture, the art, the iconic sites, the charming spots throughout the city, and the pubs all over that are truly all unique … it really is a magical place. I could (and may just) write tons of posts on things to do and places to go in London alone. 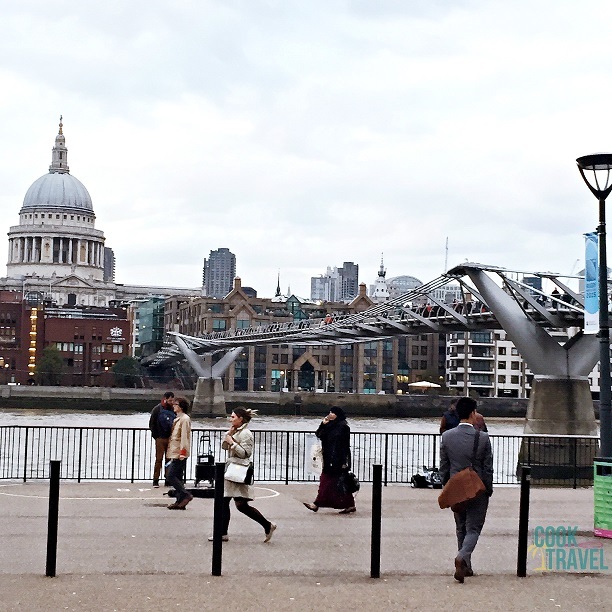 But for now, let’s highlight a few of my London spots you can’t miss on your next trip there. Museums – I’m a museum freak and could go on and on ad nauseum about the cool museums to visit. But I’ll keep it brief so as not to bore you. British Museum – This museum is a seriously cool place to go, especially if you are a big history buff. You’ll see Egyptian mummies, sarcophagi, and art. Ancient art from Greece, Rome, Syria, China, Japan (you get the idea) that will take your breath away. And incredible statues that graced temples and palaces, and even the sculptures from the Parthenon, which I’m pretty conflicted about. And yes, the Rosetta Stone is even here, which is sooo cool! 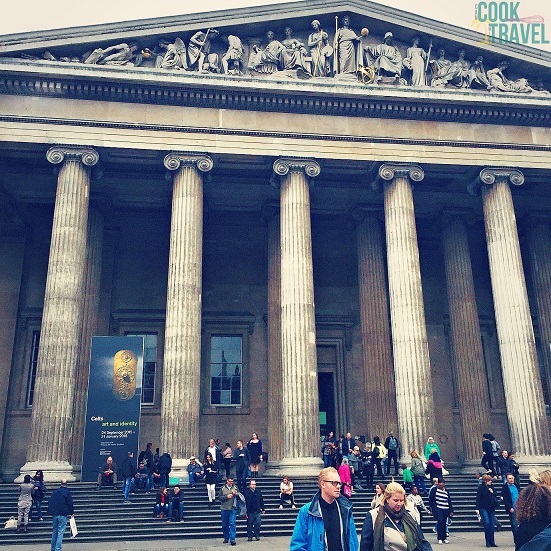 The British Museum is a spot that is full of adventure! The National Gallery – This museum is an amazing, can’t-miss spot for art connoisseurs. Here’s you’ll find England’s painting collection from the Western European tradition dating from the 13th to 19th centuries on display. It’s pretty amazing when you can walk through a museum and see one recognizable painting after another. I have to say their Turner paintings are some of my favorites. Tate Modern – If you love modern and contemporary art, then this is the museum for you. I’m personally a big fan of Abstract Expressionism and Pop Art, so those are the exhibits I love the most. And if you love looking at art that leaves you scratching your head (or at least are intrigued by it), then you’ll really enjoy what Tate Modern has to offer. I love going there for the cool architecture, because the museum is built in an old power station on the banks of the Thames … the way they converted it into a museum is seriously cool! 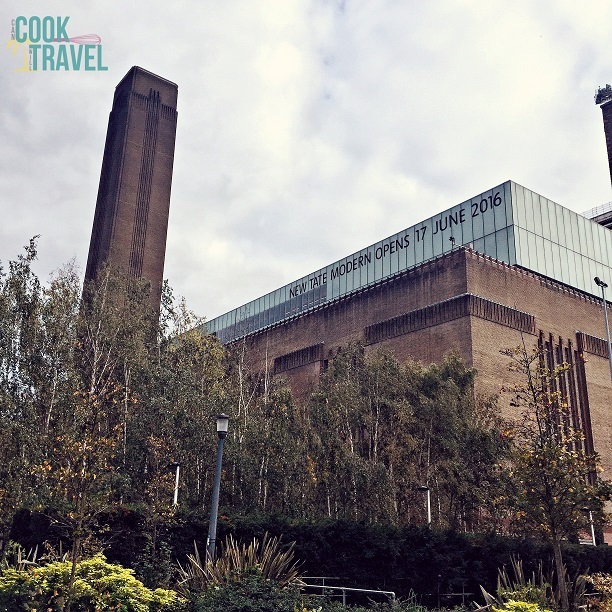 Tate Modern is packed with art ranging from iconic pieces to cool and wacky! Madame Tussauds Wax Museum in London – If none of the above interests you (or even if it does!) and you’re a big fan of pop culture, then be sure you check out Madame Tussauds. This is the well known wax museum that will knock your socks off with every turn. Get your pictures taken with the Royal family and check out all 6 James Bonds (although this is just a six week exhibition). All of your favorite stars are here including Audrey Hepburn, The Terminator, ET, among a few, including a favorite of mine, Tom Jones! It’s a really fun spot. While the other museums are free to the public, this one is not … so be prepared to pay, but it’s a really great time! Tower of London – If you love history, and want to tour the Tower and all of it’s gory glory … then this is the place for you. It’s impressive to learn how the site was built and all of the historical figures who have been locked up (and maybe even lost their head) here. A Walk Along the Thames – The River Thames winds its way through Central London. One of my favorite ways to take in the city’s architecture is to stroll along the walkways that line the Thames. You’ll see everything including Big Ben, Parliament, the London Eye, Tate Modern, Shakespeare’s Globe, St. Paul’s Cathedral, Tower Bridge & Tower of London. An easy, safe, and cool way to cross the river is to go across the Millennium Bridge, which is a pedestrian bridge. I just love people watching in London. Everyone is very go, go, go. And a walk along the Thames is a perfect place to people watch and see some amazing sites. High Tea – If you can afford it (about $100 a person) High Tea at The Ritz is a fun experience, I’ve been told. But get that British culture with high tea at lots of great venues around the city. I had my first high tea at The Orangery by Kensington Palace. 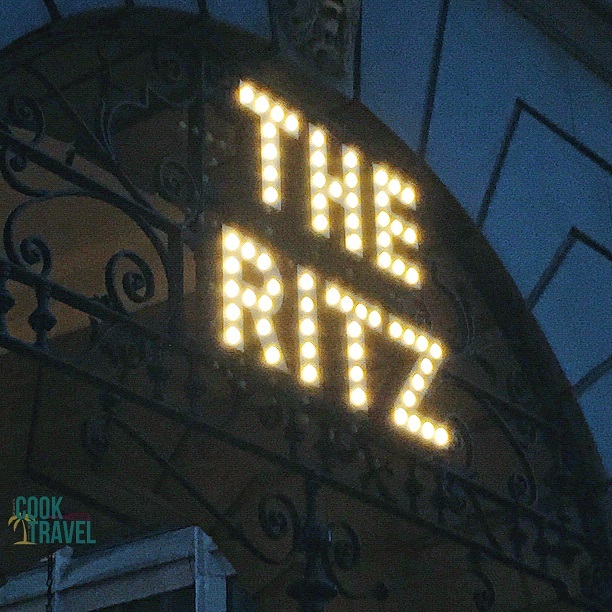 Oh how I’ve remembered walking by this sign many times wondering if I’ll get to go to The Ritz … well this year the answer was: Absolutely! 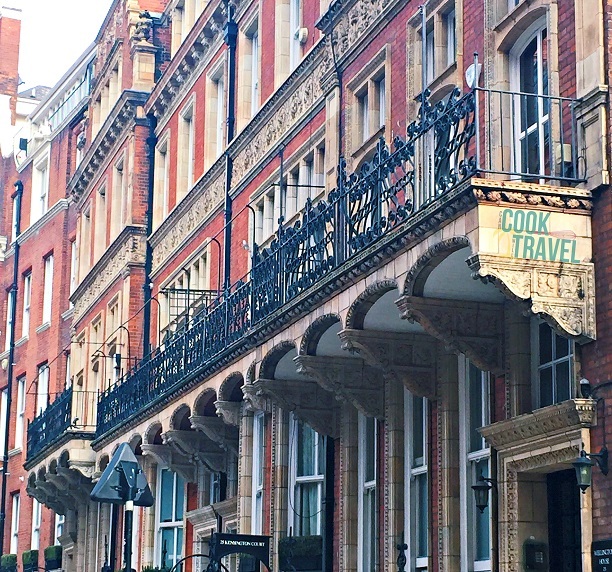 For a stroll with that gorgeous vibe we got from “Notting Hill”, walk around areas of the city on the edge of Central London that have more of a quiet feel like Notting Hill, Kensington, and Knightsbridge. You just never know who you might walk by … my sister and I totally walked past HUGH GRANT in Kensington one of the days we were in that neighborhood!!! Explore some of the outer edges of Central London for a more quiet, yet equally beautiful, part of the city! Venture Out – Hop on the train and go on some day trips if you have time. I have some great memories of trips to Bath, Oxford, Brighton, and even closer to the city and visit Hampton Court Palace (where Henry the 8th lived), Canary Wharf, Richmond, and Greenwich (to the Royal Observatory for a gorgeous view and to stand in two hemispheres on the Prime Meridian). To say I could go on and on is a total understatement, but this list is a great start of places spots not to miss out on in London. 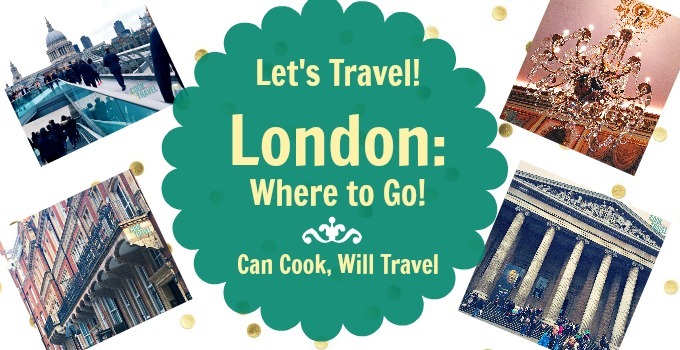 I hope you enjoy and that this helps you get ideas for YOUR next trip to London. Stay inspired & travel often!